State Representative Avery Bourne (R-Raymond) and 19 fellow lawmakers are asking Auditor General Frank Mautino to provide answers to questions raised about suspicious campaign expenditures. Questions arose after his selection as Auditor General when Mautino was still soliciting campaign donations. Further reports point to highly questionable spending and accounting dating back to his time as State Representative. 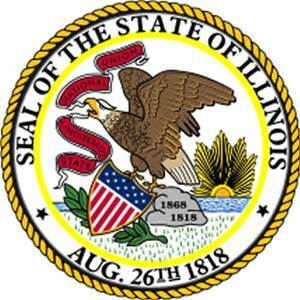 The Auditor General of Illinois is appointed by the General Assembly and serves a 10-year term. They play a powerful role in shedding light on mismanagement and misspending in Illinois government. The primary duties of the office include: auditing the state’s public funds, making additional reports and investigations as directed by the General Assembly, and reporting findings and recommendations to the General Assembly and the Governor. Spending by the Mautino campaign includes $214,000 on gas and repairs at a single Spring Valley service station owned by a city alderman. Additionally, the campaign paid $274,000 to a local bank beginning in 1999, including $94,000 in repayments on a loan for $26,000. The first letter was sent to Auditor General Mautino on February 1st asking for a written reply within 10 days. Mautino replied on February 9th that he needed more time to properly address the request. To accommodate the Auditor General, the lawmakers on February 11th extended their request deadline to February 25th. Mautino replied that he had retained a legal firm to assist him and would be working ‘…during the next few weeks in order to respond to your letter.’ Bourne and her colleagues released the correspondence, stressing their growing frustration with the continued delays.